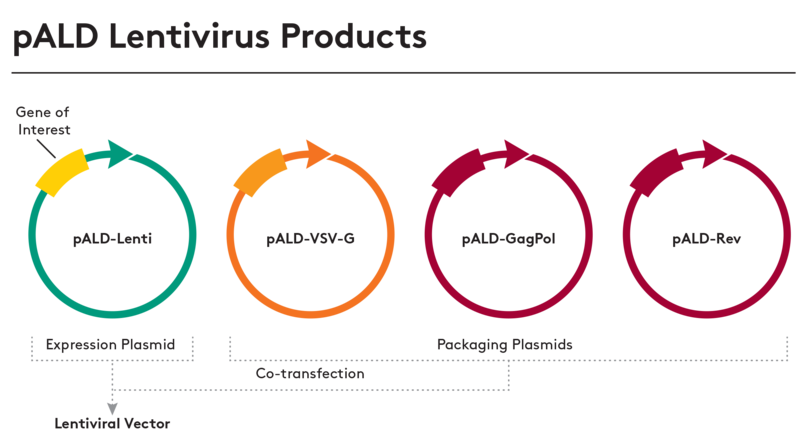 Aldevron's pALD Lenti packaging plasmids are optimized for lentiviral vector production and have immediate availability, eliminating the need to manufacture custom batches. 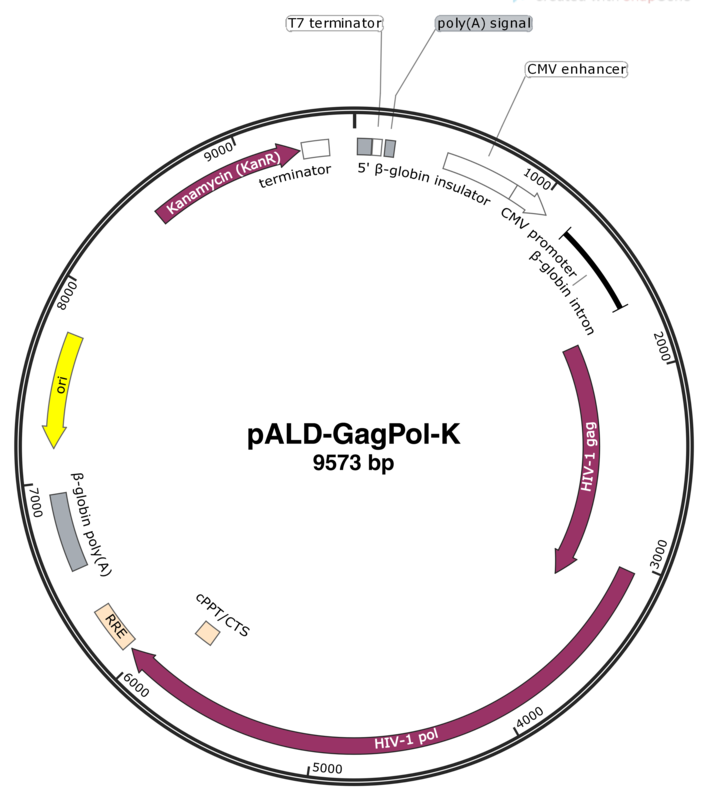 This reduces your costs and significantly reduces time to manufacture vectors for clinical trials. We also provide the pALD Lenti system free of charge for research applications (quantities limited). 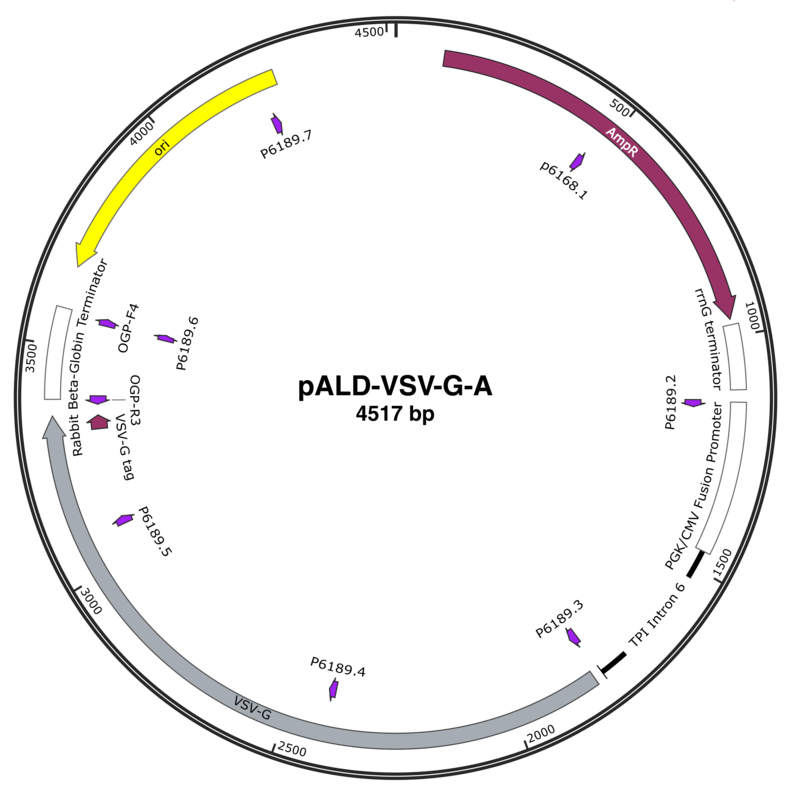 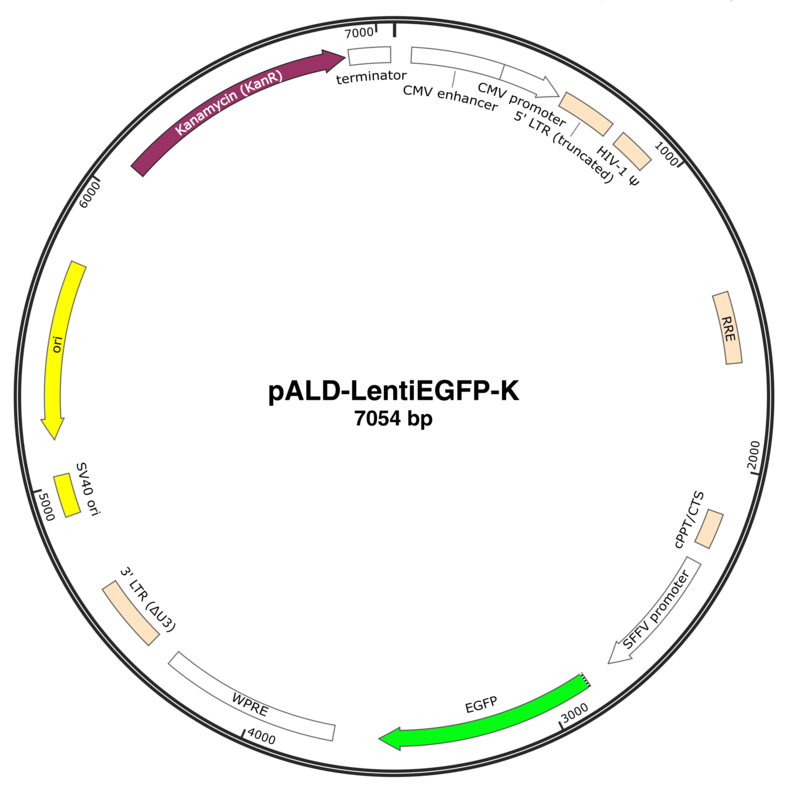 We provide three packaging plasmids and an expression plasmid for coding the gene of interest, including pALD-Rev, pALD-VSV-G, pALD-GagPol and pALD-LentiEGFP. 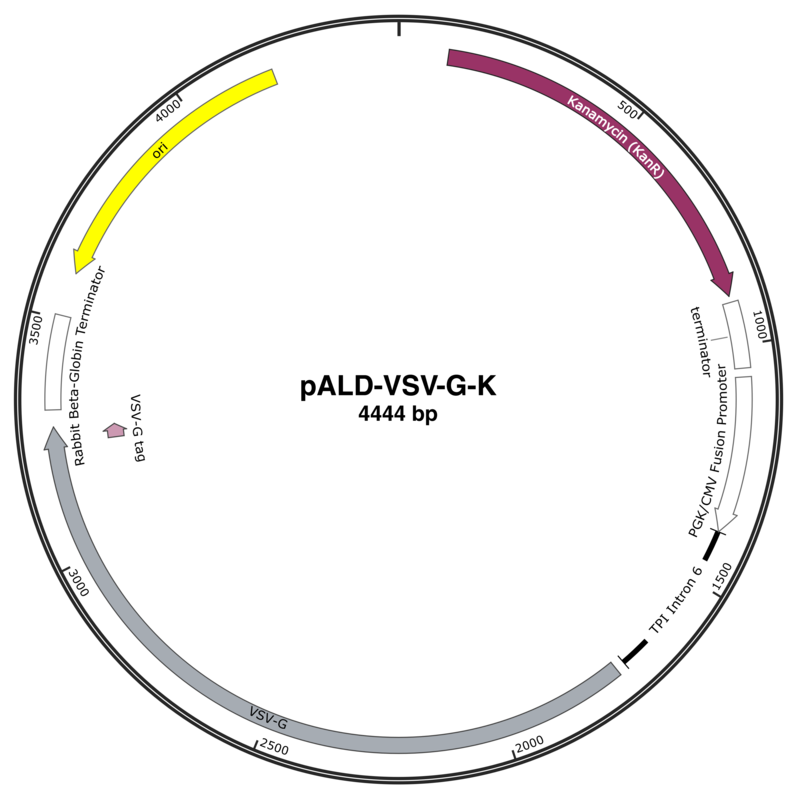 We can clone your gene of interest into the pALD-Lenti expression plasmid, replacing the EGFP sequence. 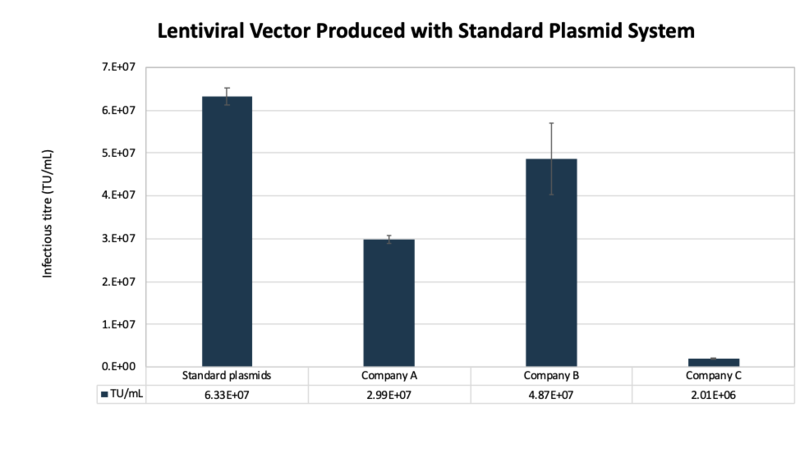 In addition to the optimized design, lentiviral vectors produced with pALD Lenti transfect cells at a higher rate than commercially available kits with infectious titers in the range of 5 x 107/ml. 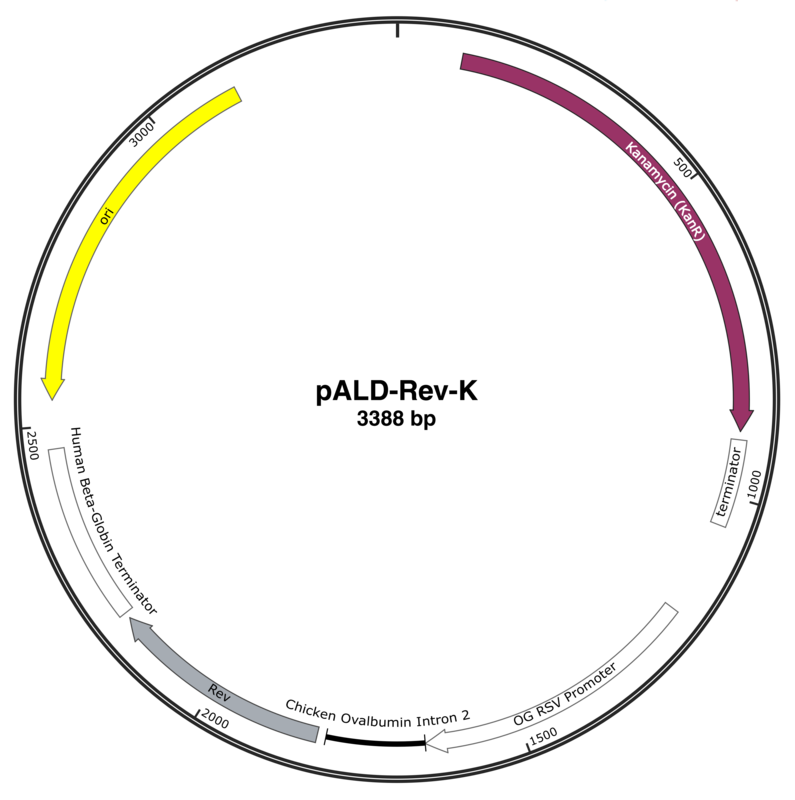 Download the label license for use of pALD Lenti products. 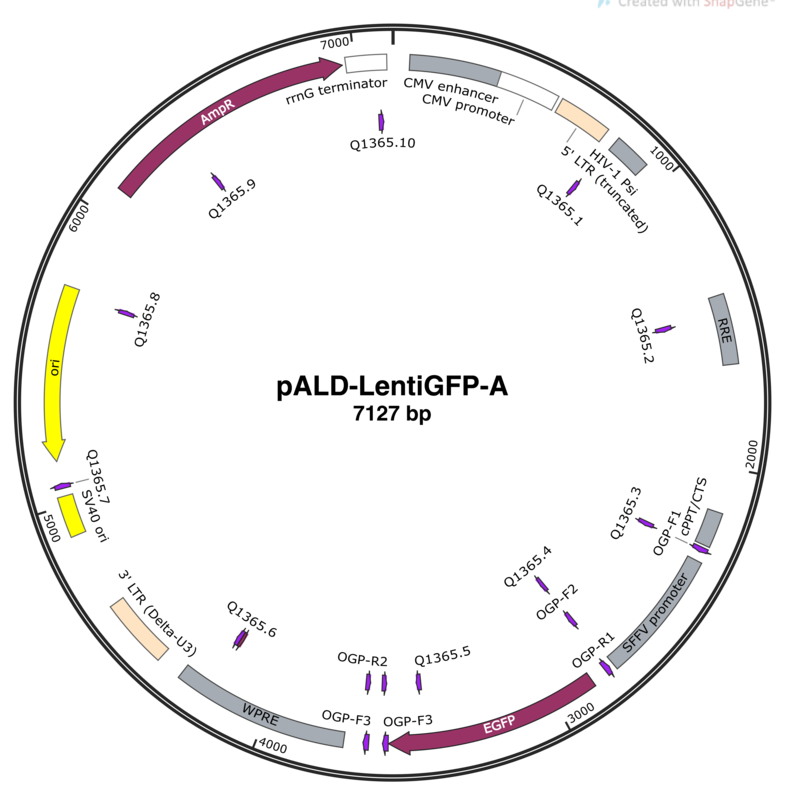 Download a non-confidential transfection protocol without plasmid ratio information. 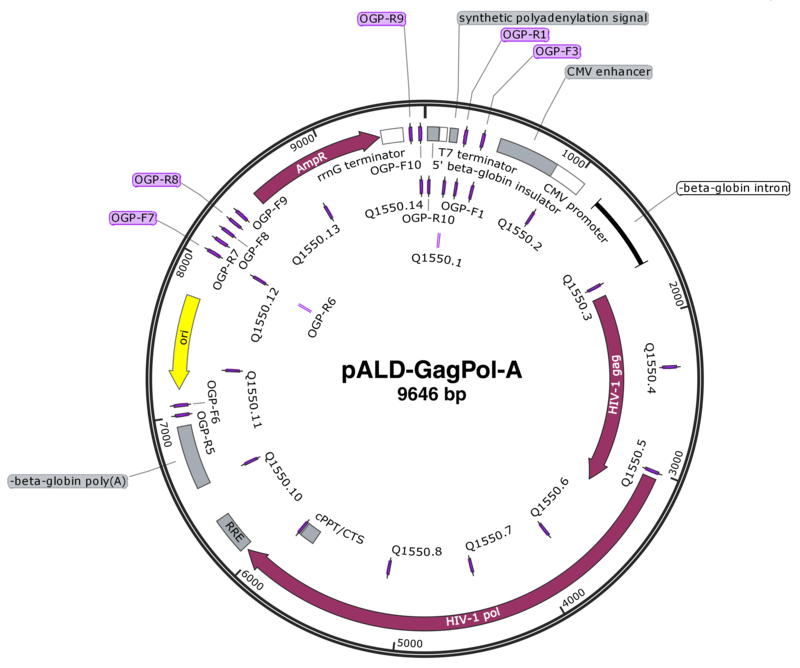 Request access to sequences and confidential transfection protocol.